As a wage earner, nobody wants to see their wages garnished. 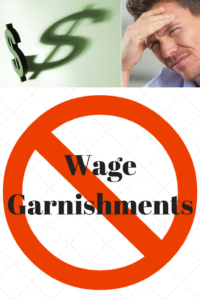 Whenever a person is working for wages and they have an outstanding monetary judgment against them, there is always the risk and concern that a wage garnishment summons could be forthcoming. Judgment creditors and their lawyers have access to information which may alert them if and when you are gainfully employed. In some cases, a creditor may be aware of your employment situation based upon a prior application which you completed. In other cases, a Social Security search can be done to determine whether or not current payroll withholdings are being made. In other situations, the creditor can learn vital information about you at a citation to discover assets proceeding. In either case, when the wage deduction summons arrives to you and your employer, steps have to be taken to either commence deductions or respond accordingly if no deductions are warranted. The focus of this article is the perspective of the employer when the wage deduction summons is received. The wage deduction notice and summons is a powerful tool for judgment creditors to effectuate collection efforts on an individual. If someone is working for wages and the judgment creditor is aware of that fact, then it is highly likely that a wage garnishment proceeding will commence. The employer is sent a wage deduction notice along with a summons, affidavit and answer form which must be completed and filed with the court. The notice itself contains language that varies from the simple to the complex. Initially, the notice states that the court has issued a wage deduction summons against the employer for wages due to or about to become due to the judgment creditor. The wage deduction summons was issued on the basis of a judgment against the judgment debtor in favor of the judgment creditor in a particular amount. The form or notice goes on to list the judgment debtor, the judgment creditor, the amount of the judgment, the employer’s name, and often the date of the judgment itself. The form then goes on to depict the amount that should be deducted with limits under Federal and Illinois law. For example, under Illinois law, the amount of wages that may be deducted is limited to the lesser of (a) 15% of gross weekly wages or (b) the amount by which disposable earnings for a week exceed the total of 45 times the federal minimum hourly wage. Under federal law, the amount of the wages that may be deducted is limited to the lesser of (a) 25% of disposable earnings for a week or (b) the amount by which disposable earnings for a week exceed 30 times the federal minimum hourly wage. Pension and retirement benefits and refunds may be claimed as exempt from wage deductions under Illinois law. As you can see, the math can get fairly complex depending upon the employee and the type and nature of wages earned. The most important item from the employer’s perspective is the answer to the interrogatories submitted by the law firm for the judgment creditor. This is a form where the employer certifies under penalty of perjury that the information listed is true and accurate. It’s going to list the name of the employer, the name of the employee, whether or not monies are paid to that employee and a financial breakdown of how much per pay period. The document then needs to be signed, filed with the court, with a copy sent to the law firm who issued the notice. This answer is often the document that trips up many employers. They simply don’t answer in a timely fashion if they answer at all. They may notify their employee of the pending wage garnishment notice, but they do not take specific action required by law. If they do not act in a timely manner, the judgment creditor can get a conditional judgment against the employer for the amount owed. In a recent case, an employer contacted me with regard to a wage deduction notice for a person who was not technically an employee. The person subject to the wage deduction happened to be an insurance salesperson that was paid directly by the insurance companies and not by the employer for whom she worked under the umbrella of the agency. The employer failed to answer the summons upon the first date. The law firm then sent a certified letter to the employer stating that there was a second date by which to comply with the answer. The letter went on to state that if an answer is not timely filed, then a conditional judgment will be sought against the employer for the amount of the judgment. I advised the employer to complete the form immediately, file it with the court, and fax a copy to the law firm which represents the judgment creditor. This will ensure that a conditional judgment will not be entered against the employer. As with any legal document, it is wise and advisable to consult with an experienced attorney regarding the matter. In this particular case, the employer was given a second opportunity to comply with the filing of the answer. In some cases, creditor law firms are not that lenient and they will seek a conditional judgment if there is no compliance in the first instance. As an employer, there are hundreds of things involved in running and operating a business. Dealing with wages, garnishments, summons, and answers with regard to employees is just another important item or task that must be handled timely and effectively. Simply chalk it up to another duty or obligation of the employer in running and maintaining a successful business.